Beautiful, Amy. Belated congratulations and here's to another 30! x. Thank you! Yes, another 30 years is possible...that will make me 84! Yikes! 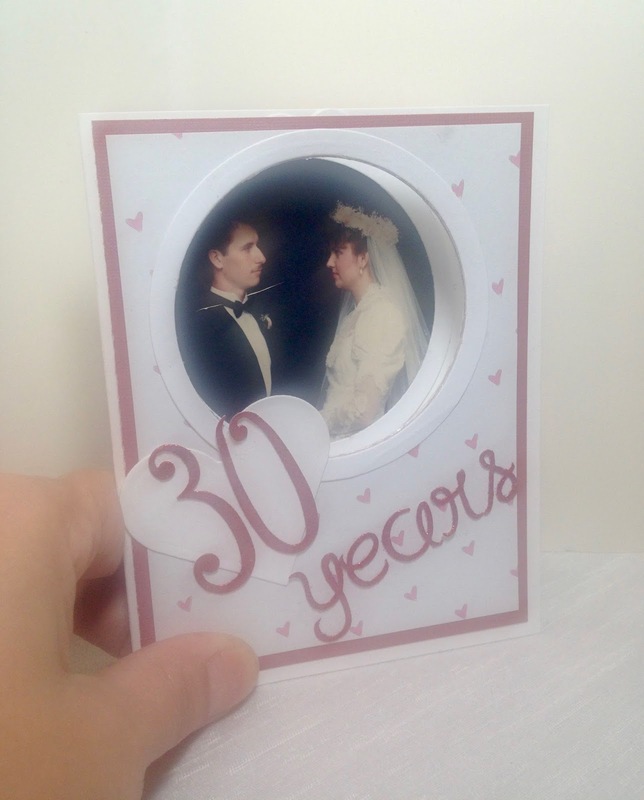 Happy 30th Anniversary! That is wonderful you are reconnecting and having fun together still after all these years! Heres to 30 more! What a beautiful card Amy! And congratulations again! 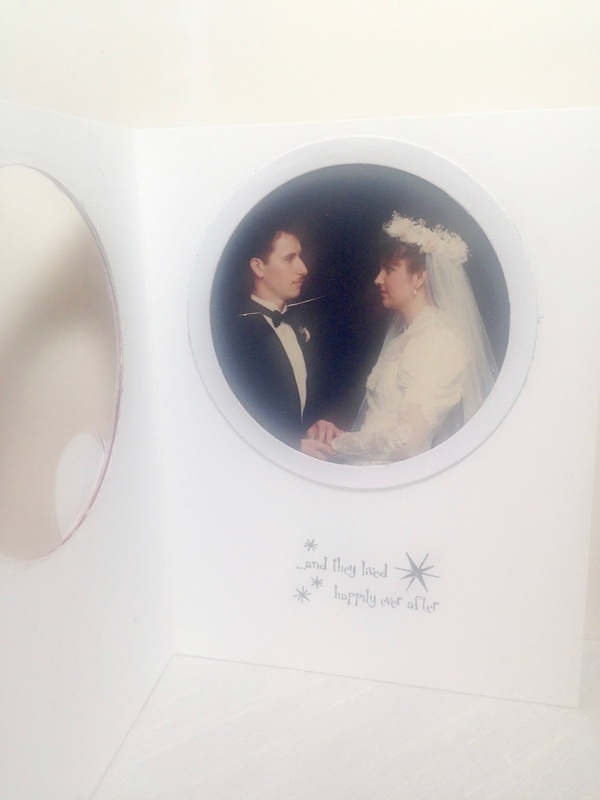 We've been married almost 20 years, and I have to admit, the first few years were definitely the most trying for us as well, and it was extremely hard for me as all my family members were overseas. Funny when I look back, most of our arguments were because of silly stuff not worth an argument. But what do you know when you're young and have to learn to live with another person LOL. I really wanted to visit Biltmore Estates on our way to Myrtle Beach this year, but time was an issue, although we actually made it to the estate, there was no way to just look around the gardens for a few minutes without paying the price. It's definitely still on my bucket list! Thanks Elli! I will say we had a lot of arguments over silly stuff as well. Your right about youth, sometimes I think a lot of marriages that end in divorce, probably would not have had the couple been more mature. That's not to say I don't believe in getting married young, not at all, I'm just saying we're not as wise when we are young and argue over things we probably wouldn't when we're older. I actually find it funny now when certain things happen in our lives and I think back what my reaction would have been twenty years ago to how I react now. We do mellow a bit and don't sweat the small stuff. You really should go to the Biltmore. It's not that far for you, we spent the night with my kids in Illinois and were able to drive all the way to the Biltmore the next day no problem. It is expensive, but so worth it. Plan to spend the entire day though! It's a lot to see! We got there the second it opened and we were the very last people to leave at dusk. I would love to go back at Christmas sometime. They fill the castle with gorgeous fresh floral arrangements every day, and they change those arrangements with the seasons. Happy Anniversary! I wish you many more. And want to say thank you for all the things you share with us, people you don't even know. Marriages like yours are getting fewer and farther between, but so precious. May God bless you both in the coming years with much joy and even more love. Thank you! And thank you for being a faithful blog reader who is always interested in what I share! It's always hard as a blogger trying to determine what to share and what to keep private. I wish I could share more! When torn about whether or not to share something I ask myself "Will this hurt anyone?" and "Will this help anyone?" and those answers help me with the decision. congrats to both of you Amy!! It really takes two and it's such a learning process, isn't it?? You are so creative with that card!! It's beautiful!! Thanks Jodie! Absolutely, unfortunately a lot of people give up too soon! Sometimes the best years lie ahead! Happy Anniversary pretty lady! It's a wonderful life and milestone. Cheers to many more!! Happy, happy 30 years to you and your husband! Whenever I see photos of the two of you together or you write about him, you always say the sweetest things. I truly believe it was good you never bolted! lol! I also love that you took a vacation together after being empty nesters and fell in love again, that is so wonderful! Happy Anniversary to you and your husband! 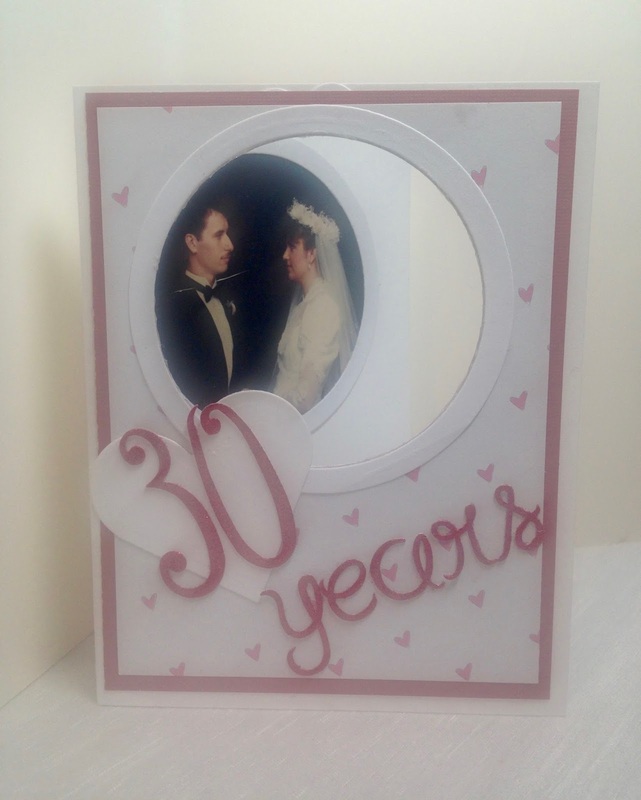 What an amazing accomplishment to have been married for 30 years. I enjoyed reading your thoughts, and it was relieving to hear that the hardest part is the beginning. I can rejoice knowing that the hardest part of our marriage might be over. LOL! Thanks Blaire! Every marriage is different. A lot of marriages crumble and fall apart during the empty nest phase because the couple can't figure out how to just be a couple again after the children leave. Getting out and having fun together is huge during this part of a couple's life! Thank's Mandy! I hope we can get back to the Biltmore sometime too! Aw happy anniversary! The card you made is adorable and so sweet! Happy belated anniversary. Ours fell through the week this year and we didn't really do anything special. But I prefer it that way. We don't need anniversaries to remember to tell or demonstrate our love. Your handmade card was the best! What cuties you were on that special day. Congratulations on 30 years. The best is yet to come. Thanks Leslie. Yes, ours fell on a Tuesday, so other than cards and flowers we didn't celebrate it either. We would normally celebrate it on a weekend, but because we have a upcoming vacation, we thought that was kind of silly and we would just celebrate it then! Heck, our whole vacation will be a celebration!